Seismic waves generated by earthquakes have been interpreted to provide us information about the Earth’s structure across a variety of scales. For short periods of less than 1 second, the envelope of seismograms changes significantly with increased travel distance and coda waves are excited by scattering due to randomly distributed heterogeneities in the Earth. Deterministic structures such as horizontally uniform velocity layer models in traditional seismology cannot explain these phenomena. 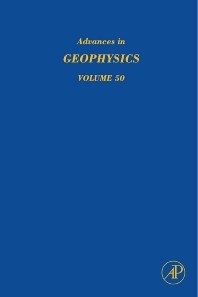 This book focuses on the Earth heterogeneity and scattering effects on seismic waves. Topics covered are recent developments in wave theory and observation including: coda wave analysis for mapping medium heterogeneity and monitoring temporal variation of physical properties, radiation of short-period seismic waves from an earthquake fault, weak localization of seismic waves, attenuation of seismic waves in randomly porous media, synthesis of seismic wave envelopes in short periods, and laboratory investigations of ultrasonic wave propagation in rock samples.